GXMU is one of the oldest medical education institutes in China. GXMU has a beautiful campus with a total space of over 400,000 square meters which provides the teachers and students with an ideal environment and conditions for teaching, studying and living. 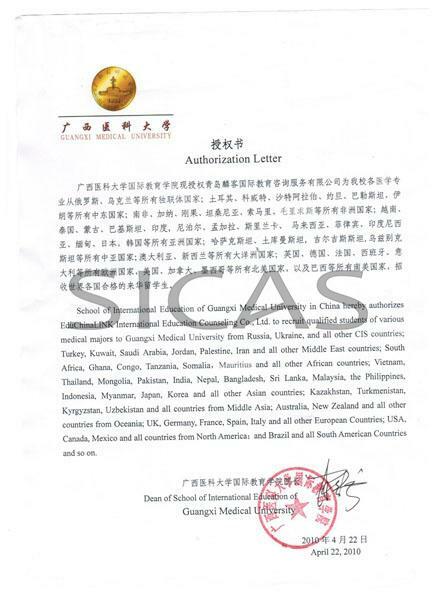 International students who Study in Guangxi Medical University will enjoy a high-quality study. Founded in 1934, Guangxi Medical University is one of the 22 oldest medical institutes in China. It is also one of the 30 universities that are qualified to launch the English-Medium MBBS courses. Preventive Medicine, Pharmacy and Clinical Medicine enjoy great reputation among international students. In fact, GCMU is one of the 8 medical institutes that first to enroll international student. And now 509 international students from 20 countries all over the world has been studying medical science or Chinese language there.